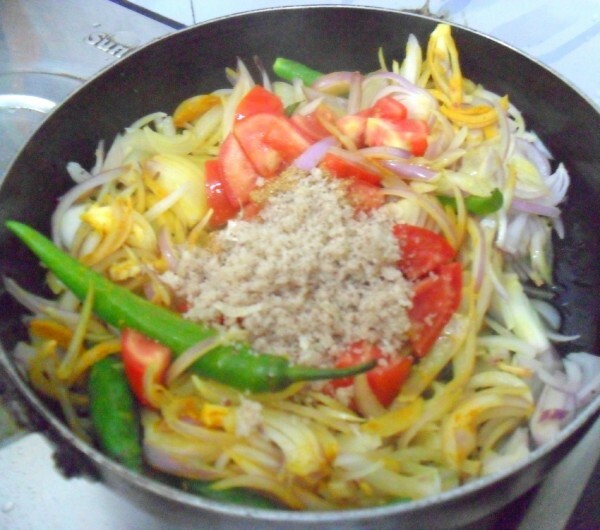 Today is another special dish from Athamma’s mom, who used to make this dish when they were kids. Athamma has been telling me about this dish, which was normally done when they were short of time and wanted a quick dish for their Jowar rotis. It now served with chapathis, whereas during their childhood days, Athamma’s mom used to make with Jowar rotis. I wanted to make this when I was planning to make the theme “Cooking with Onions”. Somehow I didn’t get around making it. So it surely suited my needs when I was asking Athamma for dishes that she makes from her mom. Athamma had made this once before but I didn’t get to taste it that time. So I asked Athamma to make this again. I was able to taste this and realised how delicious it tastes. 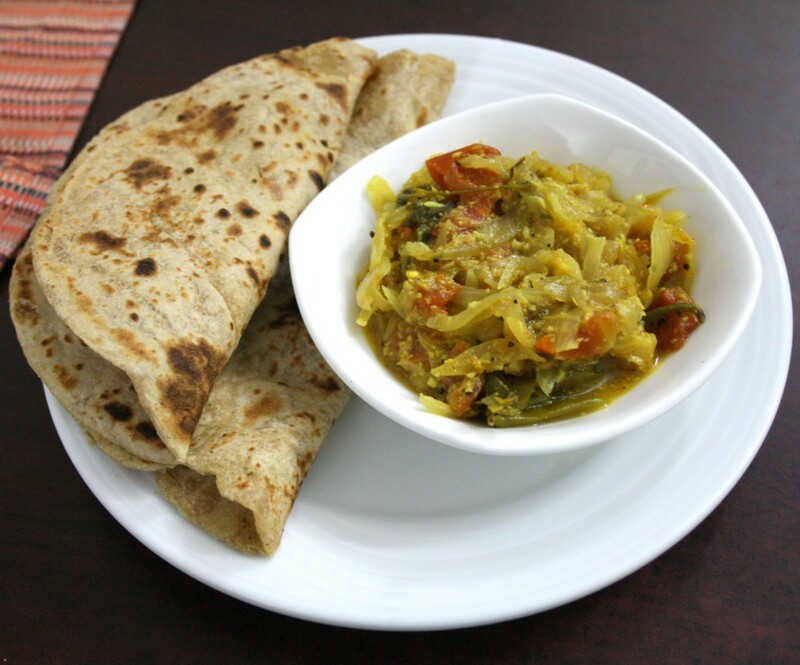 Simple, yet classic side dish for Chapati. Konda’s exams got over today, she was so excited about the exams finally getting over. Now the boys have school until end of this month. Anyway I need to find ways to keep them occupied. 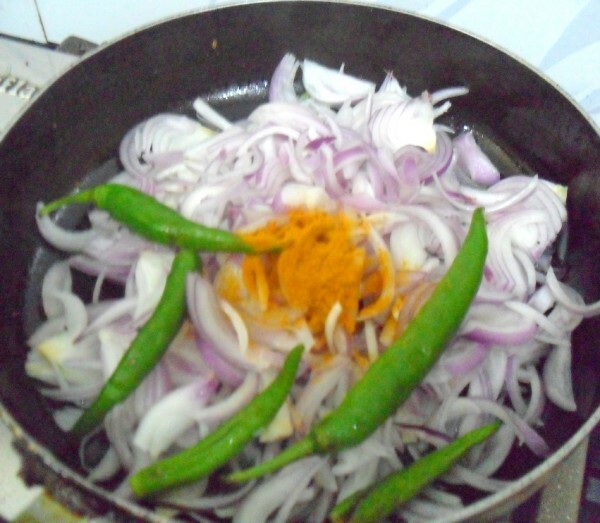 Coming to the recipe, you can use as much of onions you want, as this only onions with masala. Cut the onions as juliennes. Grind the coconut and garlic into a fine powder. Since the coconut is dried, you will get a powder when you grind. 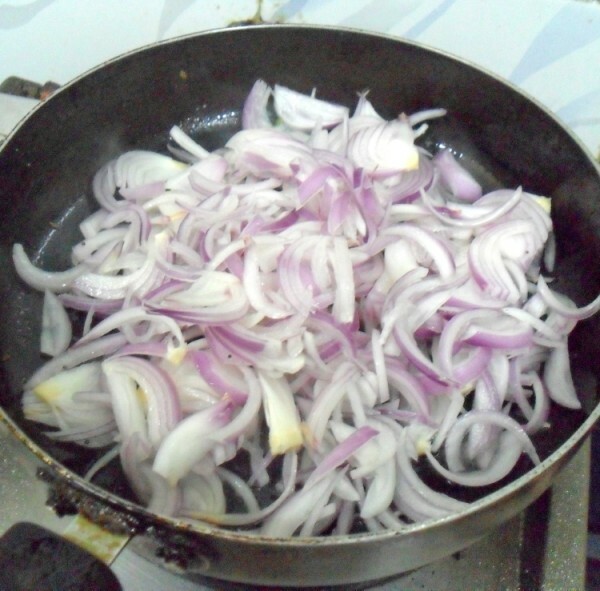 Heat a non stick pan with oil, saute the onions. After sauting it for 5 mins, add the slit green chilies, turmeric powder and salt. After 5 mins, add the tomatoes, coriander powder. Then add the coconut garlic powder. 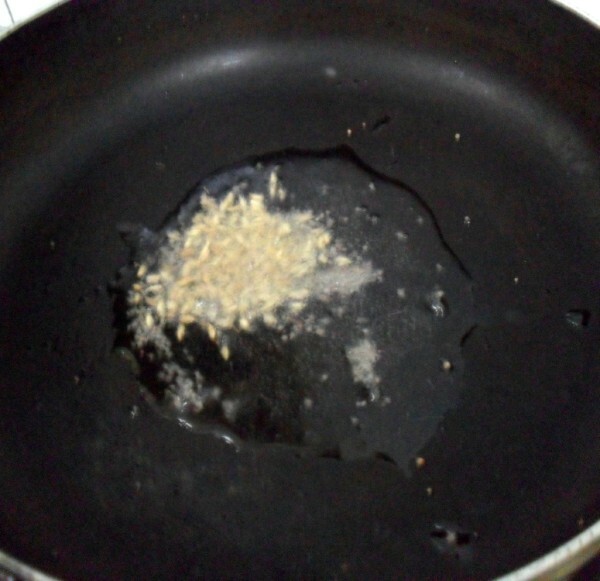 Saute well and add water as required. Bring to boil and simmer till everything is cooked. This takes about 7 – 10 mins. Switch off when the gravy thickens. 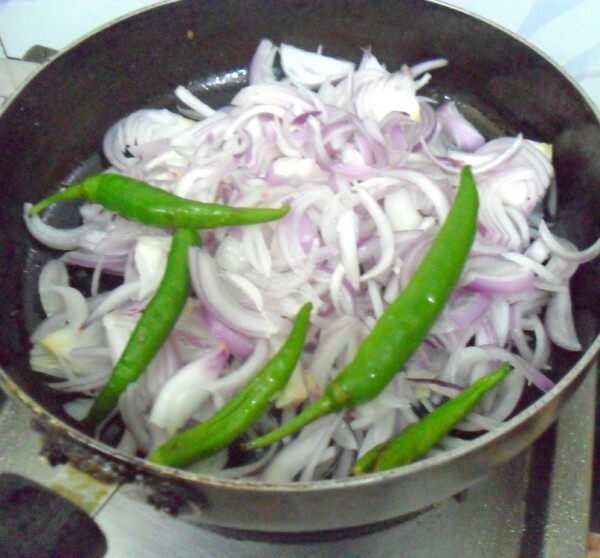 That is surely an interesting dish…Sindhi's use lot of onion in their dishes, but not coconut.I can relate to the flavor of the dish…like the way you have thrown in those green chillies .I would pick and eat all of them. 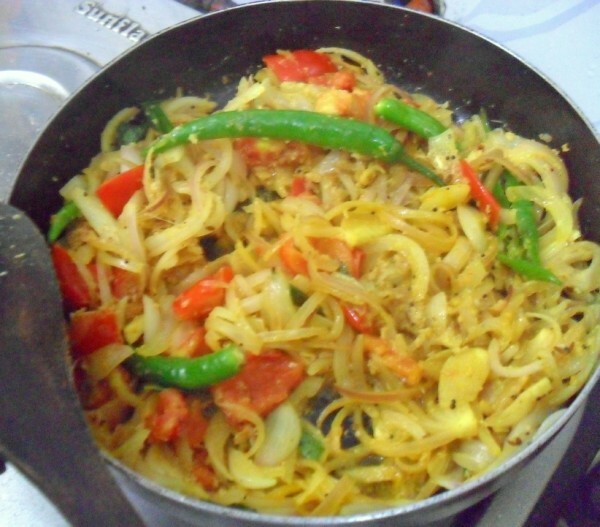 Flavourful curry, excellent side dish for rotis,drooling over that last pic. 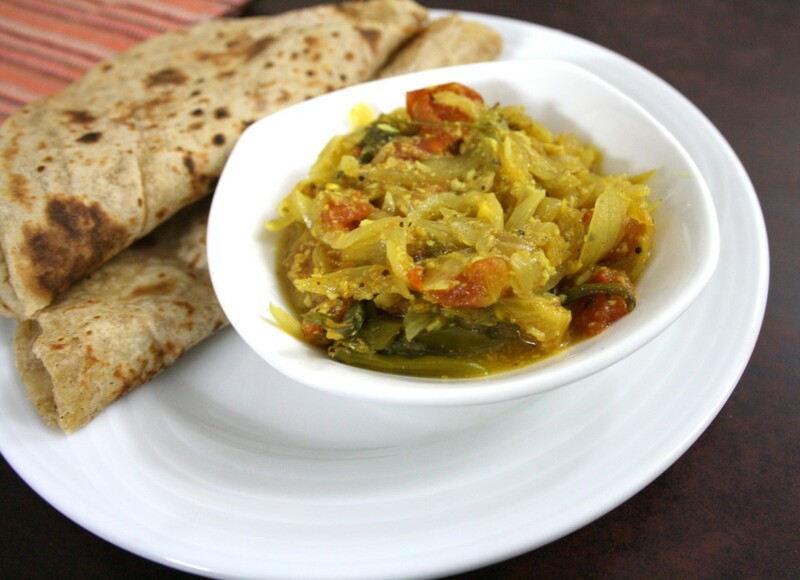 Perfect side dish for chapati must be delicious…. Nice curry for onion lovers like me it will be a hit! 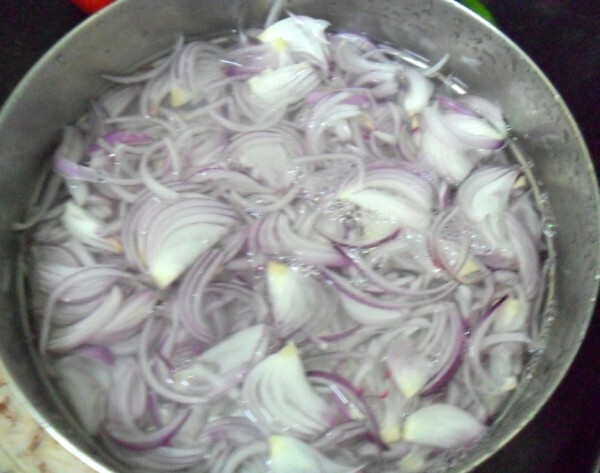 Very easy and interesting side dish, since onions are always there at home its something that can be whipped up asap! 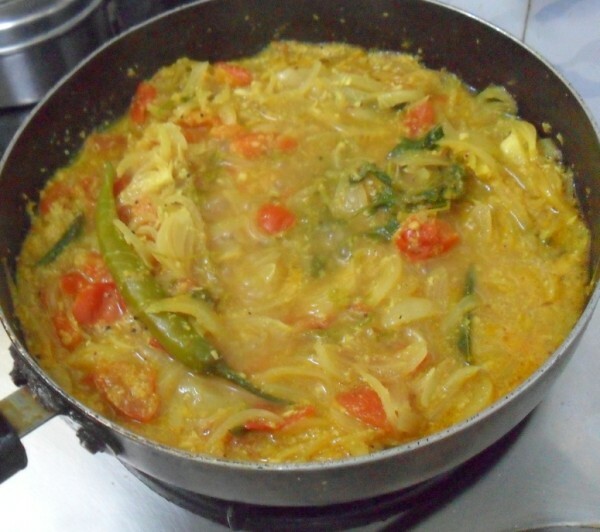 Simple one to put together.We make it without the coconut and garlic and call it tomato gojju. 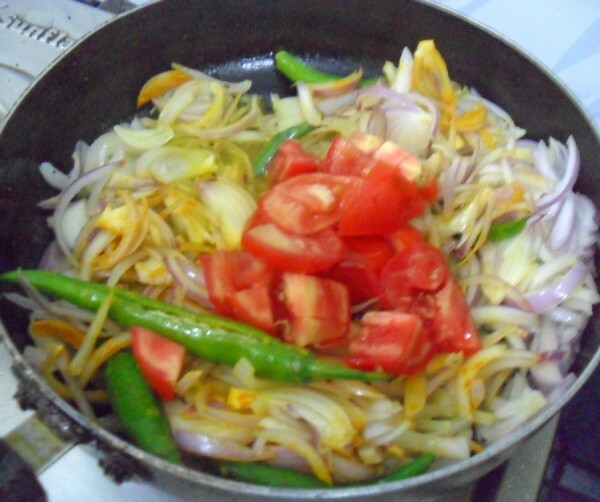 We used to prepare this without onions and will try with tomatoes next time.. Perfect combo.. I don't think it was exactly this, but i remember eating an onion curry with Jowari roti in a traditional Bangalorean restaurant. I'm not too big on onions, but the combo was great. I love the looks of this curry! 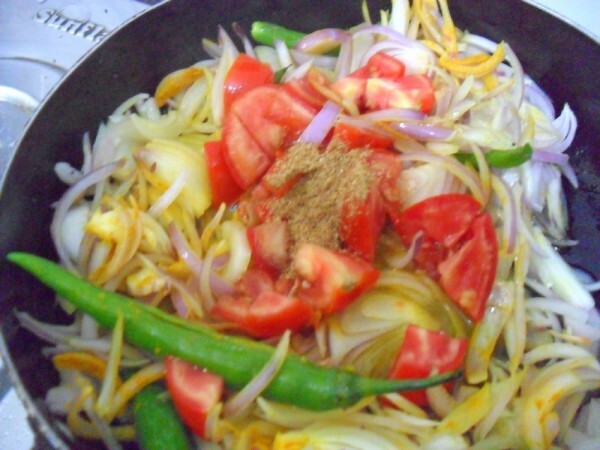 Simple and quick side dish for roti. Sometimes I use to scratch my head bookmarking this. The curry would pair so well with rotis! 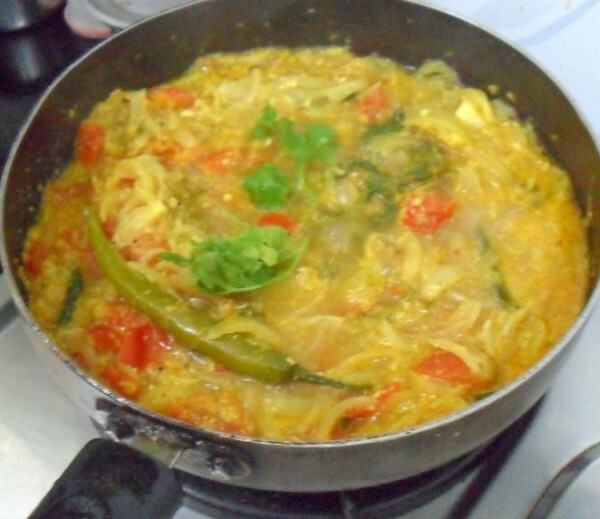 Such a flavorful onion curry. Bookmarked!! 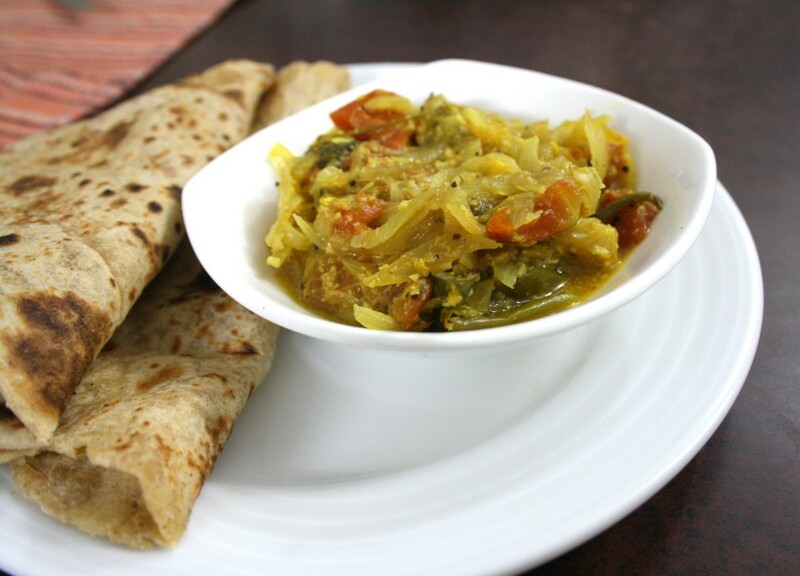 A good side dish for chapati! Never tried adding coconut though! i always thought onions and coconut do not go together.. this is looking interesting!!! AnonYes this needs salt of course! Can i replace green chilli with red chilli? Ranjita Red Chilli powder will not lead the same taste as green chilies. However no harm in trying if you don't have green chilies on hand. 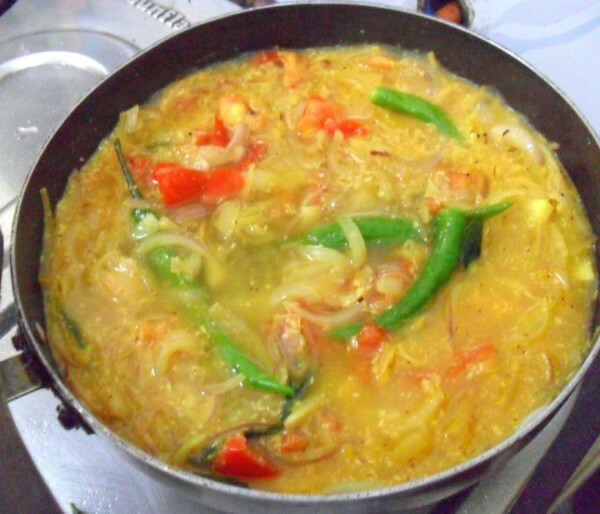 My Avva (Mother) used to make tasty onion pallya (Curry) only with Onion , Green chillies , oil, turmeric and salt. Excellent dish..very tasty tried it yesterday!! !